The poems gathered in this anthology are not unlike small, yet hardy vessels navigating their way across choppy, hazardous waters. They take us with them over to the other side, and when we look back we can hardly believe the voyage we have made. Yet somehow they have kept us safe and brought us to a fresh understanding of our lives. There are many different kinds of poem to be found here, crossing back and forth, making a rich tapestry of voices, opening new ways into those areas which have always been the territory of poetry: love, death, nature, relationships, age, politics, and indeed poetry itself. They encompass a wide range of tone, from regretful to celebratory, lyrical to comic,dramatic to reflective. Every poem tells a story, or rather shows us a story, since poetry so often thinks in imagery. The poems talk to one another in a kind of ongoing dialogue. When reading this collection, it is difficult not to feel astonished by the different connections and relationships that emerge between them. Each poem stands on its own, yet as we read on (best done out loud), the different voices combine to make a kind of choral music, which lingers in our hearts and minds. 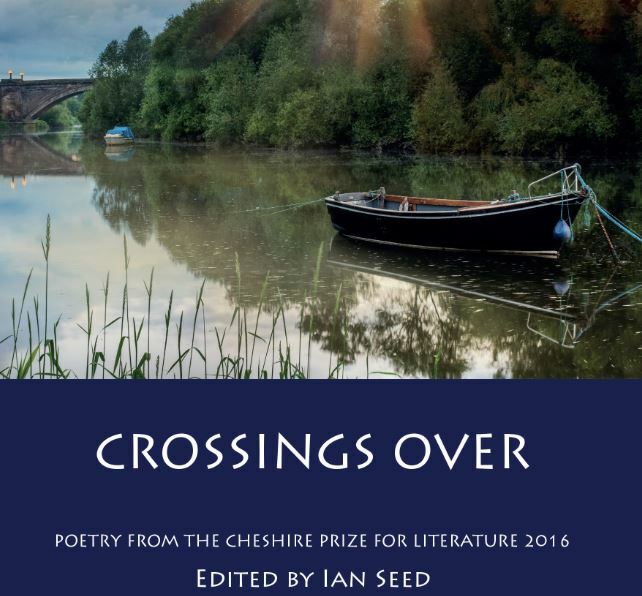 Ian Seed (Editor), Crossings Over: Poetry from the Cheshire Prize for Literature 2016, 2017, ISBN 978-1-908258-31-1, £10.99.The e-book (ISBN 978-1-908258-42-7) is currently available through Google Play, ebrary, EBL, EBSCO, Ebook Central, Gardners and Dawsonera.